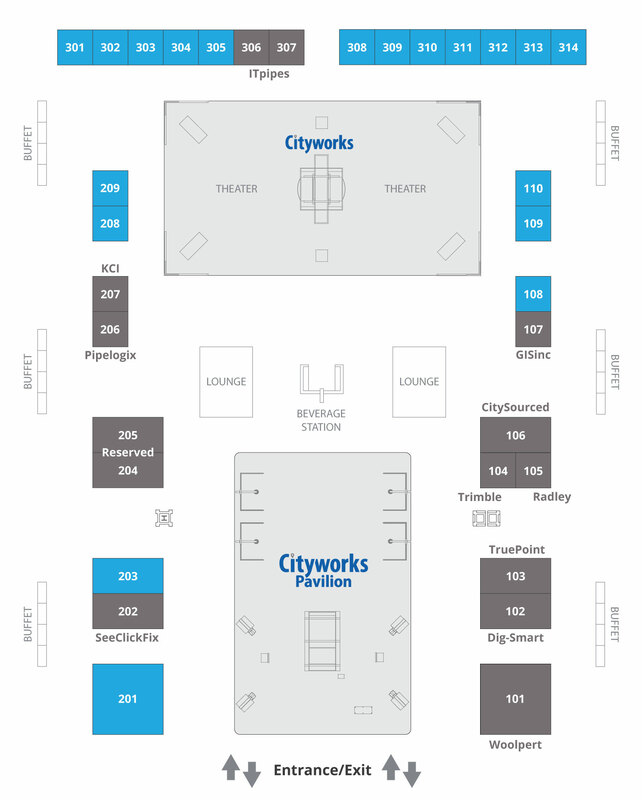 Where: Cityworks Conference is an excellent venue to showcase products. Exhibitor and sponsor packages are available and offer great exposure for your company. Cityworks Magazine advertisement: Full Page Color ad in the Fall 2019 issue, reaching more than 4,000 subscribers. Ad subject to Cityworks approval, and does not include cover spots. Due Sept. 1, 2019. One conference packet insert provided by exhibitor (optional). Insert is subject to Cityworks approval. Social media promotion: 3 tweets sent out by Cityworks to an audience of approximately 3,000 followers and organic impressions of nearly 10,000 per day during peak conference times. Tweets are subject to Cityworks approval. Cityworks Theater Lightning Talk: Take stage at the most popular attraction in the Cityworks Expo. These well-attendeded 10-minute presentations are listed in the conference mobile app agenda. Cityworks Magazine advertisement: 1/2 Page Color ad in the Fall 2019 issue, reaching more than 4,000 subscribers. Ad subject to Cityworks approval, and does not include cover spots. Due Sept. 1, 2019. Booths available. Click to enlarge.